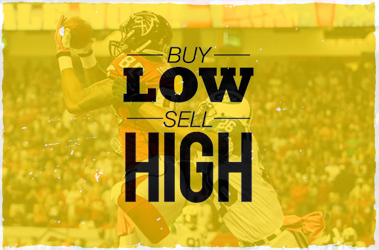 Buy Low Sell High is created to help you find the best players at each position to either invest in at a low price or sell high because you think the players stock has hit its peak. It is Week 10 and all NFL teams are halfway through their season. The Wolf of Fantasy Football Wall Street is looking to continue his success after a successful Week 9, with Buy Low Sell High Week 10. Can Ravens WR Perriman Take His Game to the Next Level? This Buy Low is a “One Week Stand” if you are catching my drift. 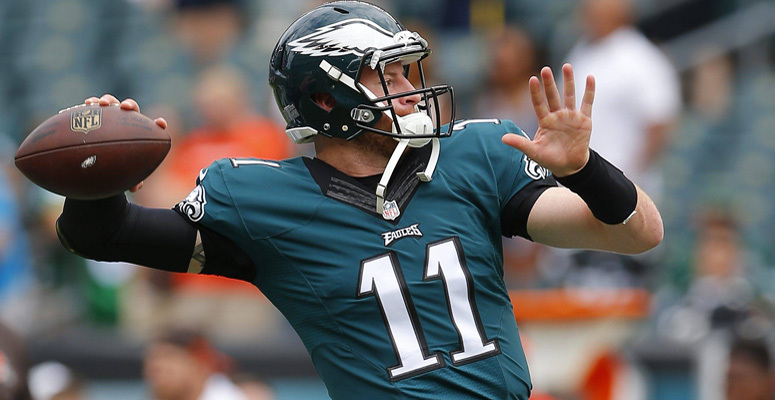 Get Carson Wentz at a low price for Week 10 against the Falcons and then trade him for an upgrade. Even though Wentz threw for 364 yards last week, he wasn’t very good. He threw two costly interceptions that led to 14 points for the Giants and put the Eagles in a hole that they were unable to climb out of. The last five games have been tough for Wentz, four of them were on the road and the only home game was against the Vikings. 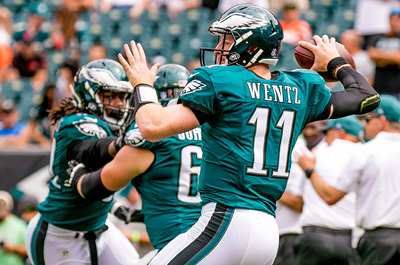 Week 10, Wentz faces the Falcons who have surrendered 880 yards, eight touchdowns, and one interception to quarterbacks the last three weeks. Colin Kaepernick is coming off his best fantasy game of the season with 21 points. He was 24 of 39 for 398 yards, two touchdowns, and one interception. He also added 28 rushing yards. Those are some impressive numbers but what makes them less impressive is it was against the Saints. Fantasy owners fall in love with quarterbacks who have the ability to run. Kaepernick obviously is a great runner and has 173 rushing yards the last three games. What isn’t good is he has zero rushing touchdowns because the 49ers are never in the red zone because the offense is so bad. 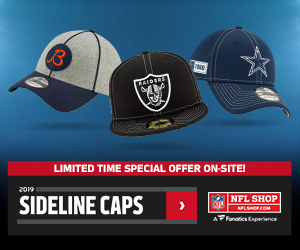 Kaepernick just had the best game of the season and his schedule is about to get difficult so sell him for the highest value he will have for the rest of the season. Thomas Rawls is expected to be back Week 11 so grabbing him before the hype surrounding him is a good idea. He is scheduled to start practicing November 9th to be ready to go for Week 11. The Seahawks players and coaches want Rawls to be the guy and will give him a chance when he returns. Christine Michael, the last four weeks is only averaging 3.5 yards per carry and the shine is beginning to fade on him. If Rawls can match what he did last season by averaging 5.6 yards per carry then you are looking at a player that will lead many people to fantasy football championships. The leading rusher for the Jaguars in Week 9 was Chris Ivory. He had 18 carries for 107 yards on the ground and looked explosive when he broke off a 42-yard run. So why should you Sell High on him? He is still in a time share with T.J. Yeldon. He lost a critical fumble on the goal line in Week 9 which led to more work for Yeldon. That fumble was his third straight game with a fumble and the Jaguars are obviously upset about that. Last reason, this was Ivory’s first game over 50 yards all season, let alone 100 yards. He won’t rush for this many yards all season so his fantasy stock is at an all-time high now. 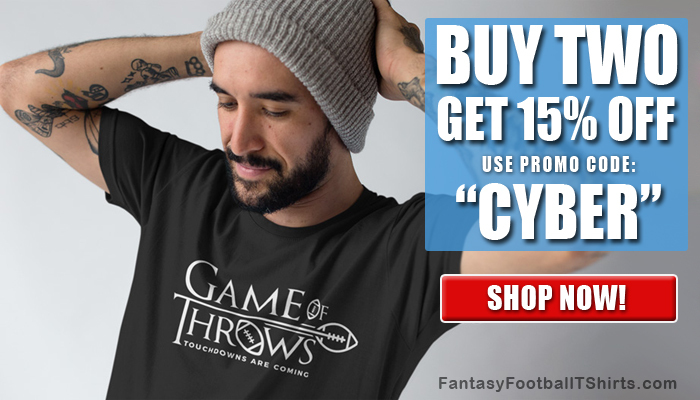 Yes, I am telling you to Buy Low on a player who just had zero catches on five targets and a dropped touchdown. 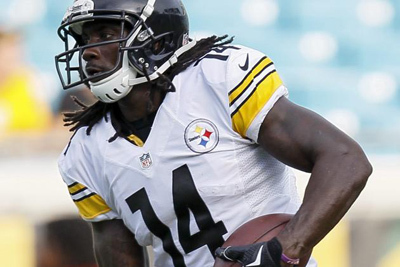 Sammie Coates has been battling a finger injury the least three weeks which has hurt his play. The loss of Ben Roethlisberger obviously doesn’t help either which is why Coates the last three weeks has one catch for four yards on 10 targets. Before his injury and Roethlisberger’s injury, Coates was starting to get more involved in the offense. His last two games before the injuries were; six catches for 78 yards on eight targets against the Chiefs and six catches for 139 yards, two touchdowns on 11 targets against the Jets. He and Roethlisberger should be healthier for Week 10 against a banged up Cowboys secondary. If Coates has a big game you will miss your shot on getting him at a cheap price. 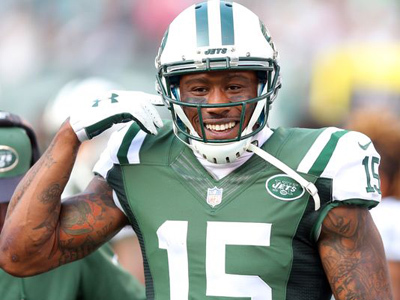 This is difficult for me to write because Brandon Marshall is one of my favorite players. Marshall has been having a down season but fantasy owners can still get value for him based on name value. This season Marshall has 40 catches for 585 yards and two touchdowns. Marshall isn’t the reason for the down numbers, it’s the poor quarterback play all season. Anytime a receiver like Marshall has 86 targets and only 40 catches, is how any fantasy owner should know it’s been terrible quarterback play. He has only one game this season with more than seven catches and only two games with more than 100 yards. I haven’t lost faith in Marshall as a player but unfortunately, he is a part of the Jets quarterback circus which I am more than finished with. A sneaky Buy Low or a player people may be able to pick up off waivers. This season Lance Kendricks has 32 catches for 331 yards and one touchdown. Those numbers aren’t appealing but his numbers from the last three weeks are. During the last three weeks, Kendricks has been the safety blanket for Case Keenum. Kendricks the last three games has produced 19 catches for 179 yards, and one touchdown on 28 targets. Not many tight ends are averaging nine targets a game at this point in the season and as long as he continues to stay involved, he will continue to provide fantasy points. A great Sell high candidate based off his Week 9 performance and name value. Jason Witten this past week had eight catches for 134 yards and one touchdown which proves he is still reliable right? Not really. This season he has 38 catches for 424 yards and two touchdowns. Both of his touchdowns came on blown coverages last two weeks. This week was his first game all season where he went over 70 yards and he did it against the Browns. Witten is a great real life tight end but not so great for fantasy, trade him because owners will see his huge game and the name and be willing to give up some valuable players for him.